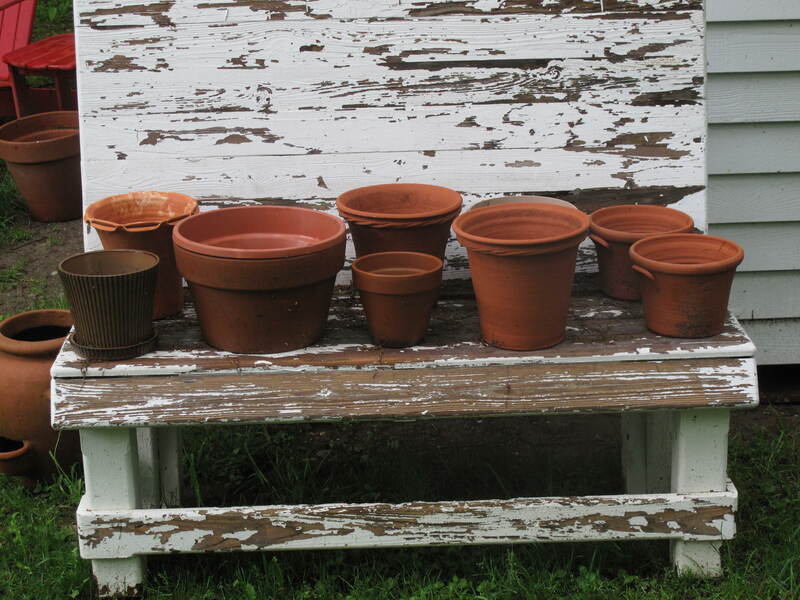 This is my collection of a legal pot or two here on Glen Road. It’s planting season, so all hands on deck. Are you planting fast and furious in your garden? This entry was posted in The Garden-2011 and tagged Acorns, Beauty, Blog, Fun, Gardening, Humor, Life, Love, My Life, Nature, Photos, Spring. Bookmark the permalink. Might I ask what’s goin’ into da pot? Onions? Eggplant? Watermelons? Or could it be something else? Hi Sandy. Welcome to Acorns On Glen. Sadly enough, I am a good boy here on Glen Road so I will be putting flowers in the pots that are in the picture. Boring and safe here. I’ve laughed several times today on the title of this post. I need to get a life!! 🙂 Come back and visit soon. Ha, good one. I like that old bench too. Always time for a good laugh. Right?